futuregirl craft blog : FSC - Are You Curling? FSC - Are You Curling? Three or four people have emailed saying, "What am I doing wrong?!?" and every time, they are doing the same thing I did. 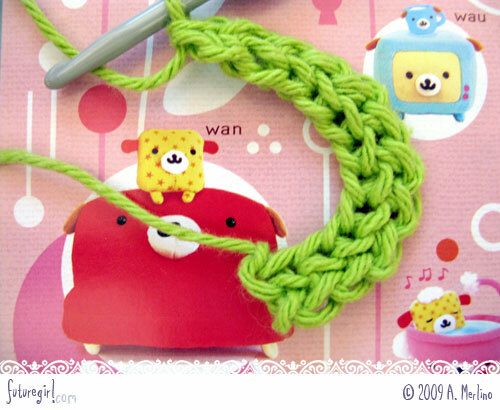 To keep you from making the same mistake, I added a note to the foundation single crochet tutorial.